Make sure you have all the relevant information and supporting material requested.  The information you provide will be treated in the strictest confidence and will only be used by the Geneva Academy in the context of your application. Mandatory fields are indicated with an asterisk (*). Mandatory fields are indicated with an asterisk (*).